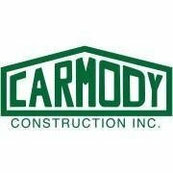 At Carmody Construction helping homeowners restore their older homes is one of our greatest rewards. 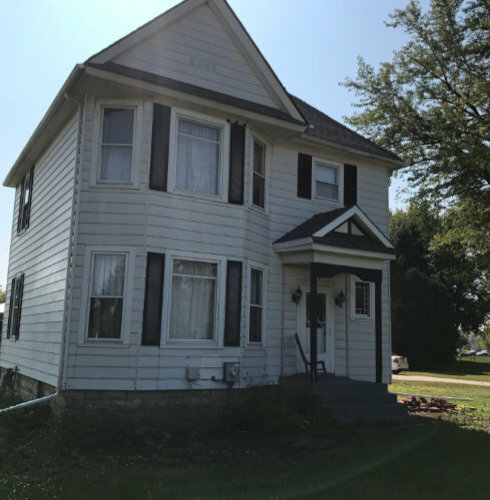 We recently got another such opportunity at one of Plainfield’s older homes. 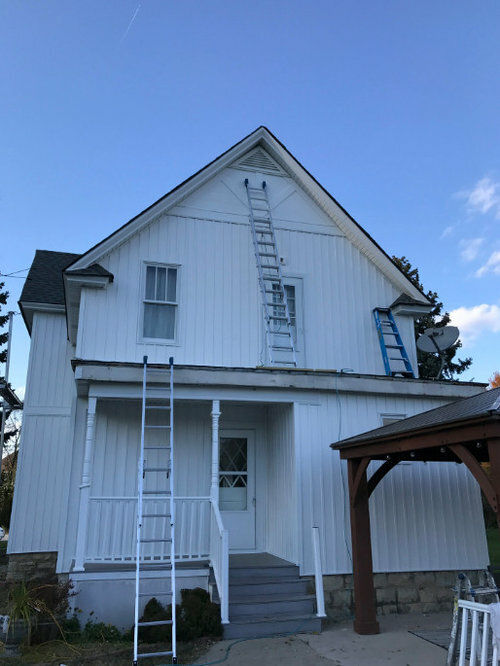 We recently wrapped up a total exterior remodel at a turn of the century farmhouse along East Main Street, also known as Route 126 or Historic Route 66. 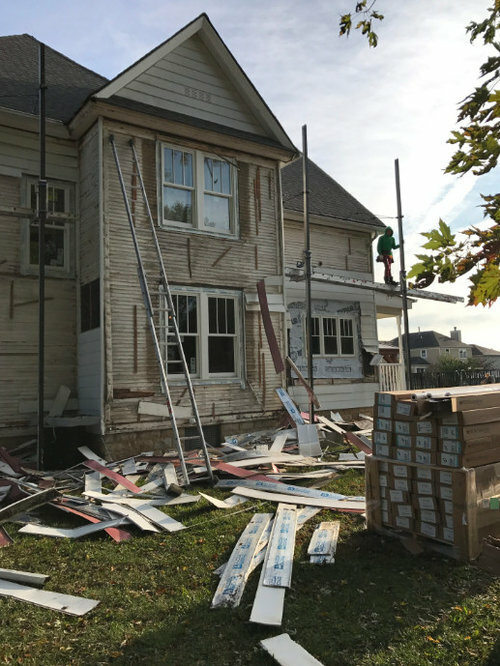 With decades old windows and a couple layers of siding, this house was definitely one of our larger projects this fall. We started by first removing the old aluminum windows and replacing them with all new highly efficient Marvin Windows. Our homeowners will stay nice and toasty this winter now that their old drafty windows have been replaced. Next, we removed a layer of aluminum siding and another layer of cedar siding down to the home’s sheeting. We then wrapped the home in new foam insulation and building paper. 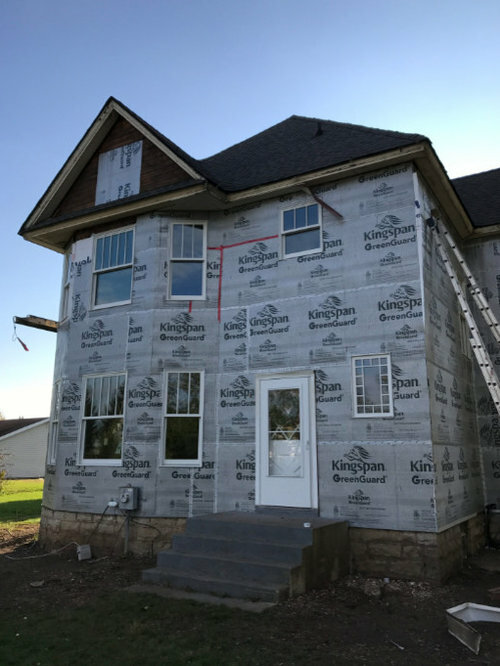 The addition of the foam insulation should also provide more protection against the harsh elements this home is exposed to. 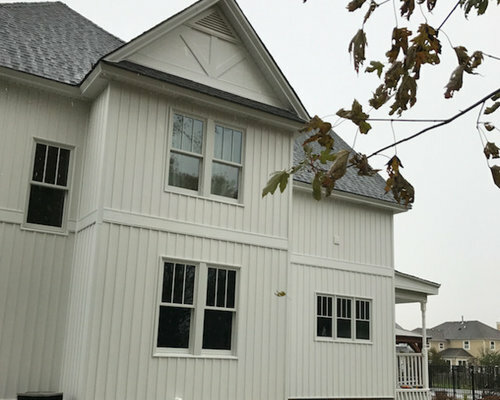 We then added new LP vertical siding and trim in the Gables and custom vents. 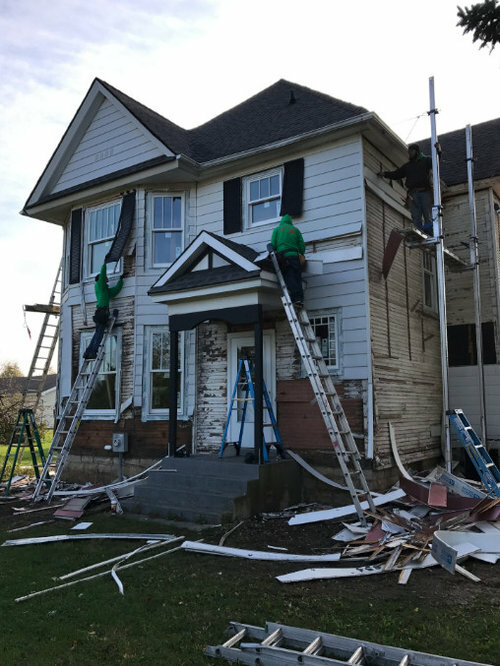 We finished the job off with new siding, soffits, facia and gutters and downspouts. 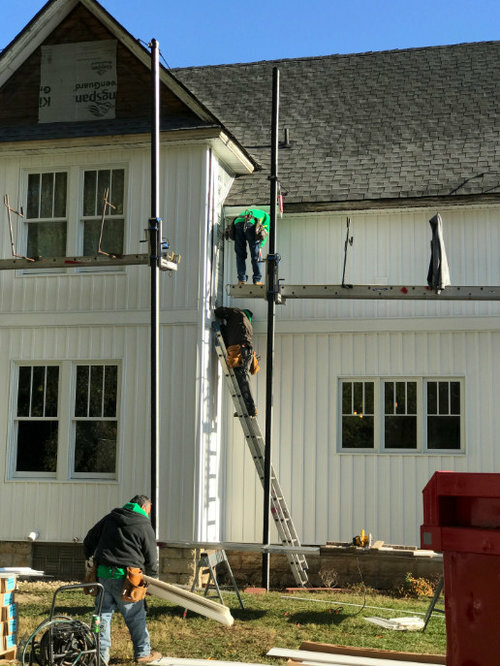 Carmody’s work on this house has transformed it from a tired-looking energy waster to an energy efficient home that should now be on the road to lasting another hundred years. View Before, During and After photos of this exterior makeover in our gallery below.